Microsoft will be adding 19 new Original Xbox games to the Xbox this month April 2018, which includes fan favorites like ; Bethesda's The Elder Scrolls 3 : Morrowind, Jade Empire and six classics Star Wars games. Making the addition of the total number of original Xbox games available for the Xbox One to 32 games. The games will work on Xbox One console with a disk you own already or digital copy, which you can purchase from the Microsoft store. 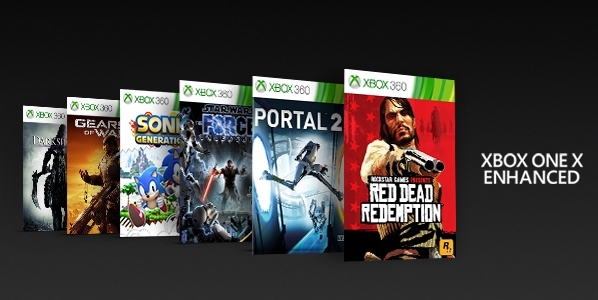 The Original Xbox games will make use of the full features of the Xbox One. The games will be running with up to 4X pixel count on the Xbox One S and Xbox One and up to 16X pixel count on the Xbox One X.
Microsoft also announced that 6 Xbox 360 games will be getting Xbox One X enhancements this April, The games will be able to run at 4k resolution and players will be able to choose if they want to experience these games in 4k resolution or in their original graphics.